2. Through postcard marketing, your competitors do not have an idea about your product unless you advertise in the newspaper. 3. Results from postcard marketing are trackable. Your card can tell its receiver to take the postcard into your store in order to avail a special discount. It can also require them to use the special ordering code when shopping from your site. 4. They are versatile. In a lone mailing, you can make business possible to customers and request repeat business from present customers. Aside from mailing, postcards can become oversized business cards which you can hang alongside your trade show materials and sell sheets. 5. Testing an offer through postcards is simple. To test an offer through your card, what you only need to do is to send the card to a small group of people and notice how many of them respond. If the result is satisfactory to you, better yet send out a bigger mailing. 8. Postcards are space-savers. 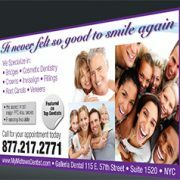 Postcards can be carried conveniently inside the pocket or within people’s pocketbooks. Some even display them on the refrigerator door. 9. Postcards can generate website traffic. One of the most effective formats of a postcard is listing a couple of benefits of your service or product and telling the customer to go a particular page to your website. This is a great way to make a prospective customer visit your site.